This pattern uses the new SuperUno beads to create a pretty ruffled edge. SuperUno beads are SuperDuo beads with only one hole (the first two bracelets from the left in the photo use SuperUno beads along the outer edge). 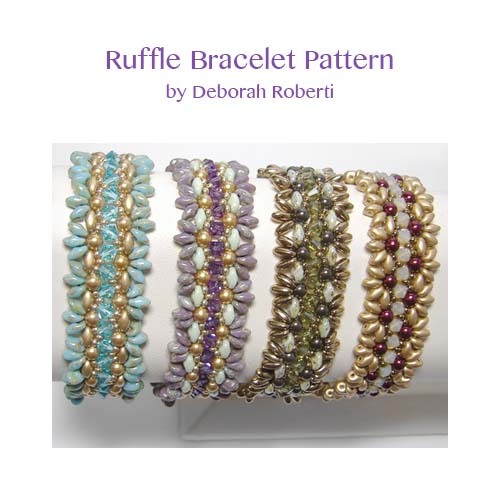 You can also use Rizo beads (third bracelet from left), although they tend to be more floppy, or use all two-hole SuperDuo beads (fourth bracelet from left) if you don't mind empty holes showing along the outer ruffled edge.